I love using long lenses for landscapes, surprisingly it’s a choice that often gets overlooked in nature photography. It always amazes me the different perspectives and compositions you can find within the scene when experimenting with a telephoto or super telephoto lens. 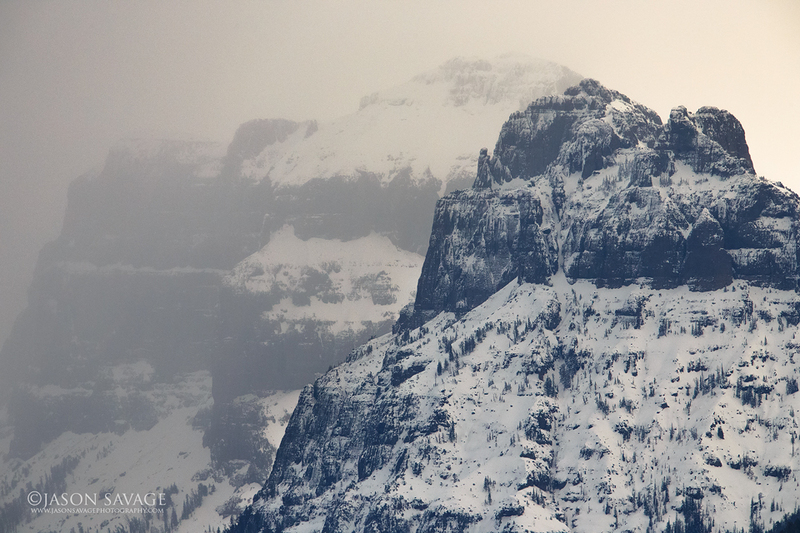 This is a recent shot of Amphitheater Mountain taken in the northeastern corner of Yellowstone National Park during an early morning snow storm.